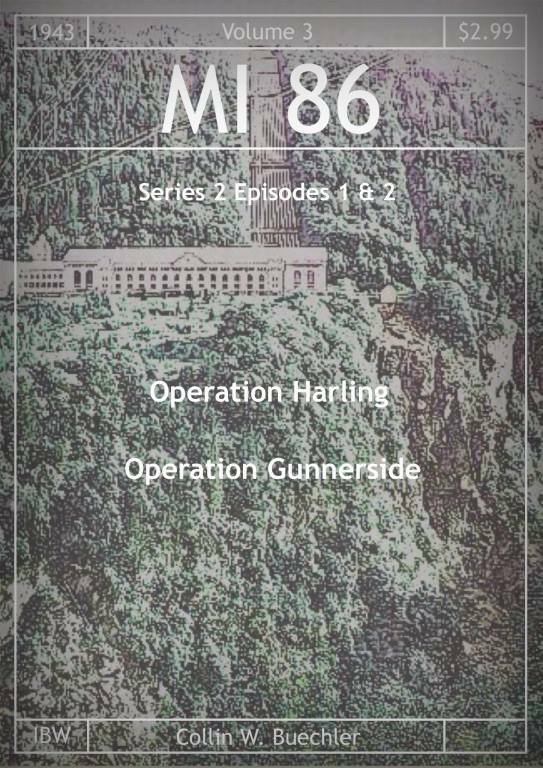 Information on the real life heroes of both Operation Harling and Operation Gunnerside is at time very sparse, these were men who would say they were simply doing their job and many did not seek the historical notoriety their actions earned them. Regardless of how sparse information may be on these heroes the world owes the brave men and women who served during World War II our eternal gratitude. Lt. Colonel Eddie Myers, Commanding Officer of the mission and group leader was later wounded during operations to evacuate the remnants of the 1st Airborne Division from Arnheim. He passed away in 1997. Captain Tom Barnes’ role as sapper ensured the destruction of the Gorgopotamos viaduct. His experience as a civil engineer prepared him for his role in the Royal Engineers. Sergeant Len Willmott served as the wireless operator for the team and was one of the youngest members of the team. He passed away in 1993 in New South Wales. Maj. Chris Woodhouse stayed in Greece after the mission continuing to work with the greek resistance throughout the war and was an unwavering opponent to the establishment of a dictatorship in Greece. After the war he penned many books on the elegance of modern Greece prior to his death in 2001 at the age of 83. Lieutenant Inder Gill was a well decorated member of the Royal Engineers prior to leaving that service to take a role in the newly formed independent Indian Army where he rose to the rank of Director of Millitary Operations during the 1971 war. He passed away in 2001. Sergeant Doug Phillips was the second teams wireless operator. Major John Cooke, served as the leader of the third team of British operatives during the mission to destroy the Gorgopotomous Viaduct. Captain Arthur Edmonds served as a sapper during Operation Harling. Sergeant Mike Chittis served as the third team’s wireless operator. Joachim Ronneberg was awarded the Distinguished Service Order and went on to lead other missions against the Nazis during the war before going on to a long life and career in broadcasting after the war. He was present when a stature of himself, seventy years his junior, was unveiled in Alesund Norway in two thousand fourteen where he lives. The memorial commemorates not only Joachim’s accomplishments, but also those of everyone involved in Operation Gunnerside and Operation Fieldfare. He is an ardent supporter of the military and considered by his homeland as a living legend. Knut Haukelid earned the Distinguished Service Order after leading the demolition team that sank the Hydro and put an end to the threat of the Nazis obtaining a nuclear bomb. A career military man he retired in nineteen seventy four with the rank of Lieutenant General, one of only three active service members to hold that rank at the time. He passed away in nineteen ninety-four. Prior to his death he penned several books about the missions he participated in during World War II. Kasper Idland earned the Military Cross for his actions in World War II and continued to fight the German Occupation, even leading a small resistance group until the end of the war in nineteen forty-five. Idland moved from Norway to the United States in nineteen fifty five where he died thirteen years later at the age of forty-nine. Fredrik Kayser continued to work on special operations during the war, including learning to pilot midget submarines used to attack German vessels in the harbor of Maloy. After the war he entered the private sector, as well as serving on the Fana municipal council for eight years. Kayser passed away in Feburary of 2009. Jens Anton Poulsson continued his military career and lead the 3rd Infantry Regiment from nineteen eighty to nineteen eighty-two. At his funeral in two thousand and ten King Harald V participated, honoring the war hero. 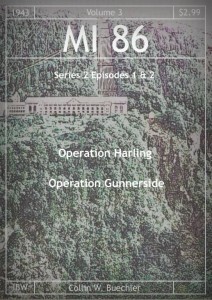 Einar Skinnerland Was integral to Operation Gunnerside as he and several family members had worked in the Vemork hydroelectric plant. After the was he moved to Canada where he helped build damns until his retirement. Einar passed away in Toronto at the end of two thousand and two. Hans “the Chicken” Storhaug continued fighting for the resistance during the war, returning to Norway in nineteen forty-three for Operation Grebe and operated behind enemy lines until the end of the war. The Chicken passed away in nineteen ninety-five. Birger Stromsheim followed Joachim Ronneberg back into Norway as part of Operation Fieldfare. He returned to a quiet civilian life after the war before passing away at the age of one hundred and one in two-thousand and twelve. Lief Tronstad was Operation Gunnerside’s main contact within the SOE and helped train and organize the men involved in the sabotage on the Vemork hydroelectric plant. Despite expressing a strong desire to take part in the mission was denied by his superiors as he was considered nonexpendable. When the Nazis began their scortched Earth retreat from Norway in nineteen forty four he returned to Norway in an attempt to protect strategic assets from destruction. He was killed during Operation Sunshine in nineteen forty five and was posthumously awarded the War Cross with sword, Norway’s highest decoration for military gallantry, and seven other awards for his service.